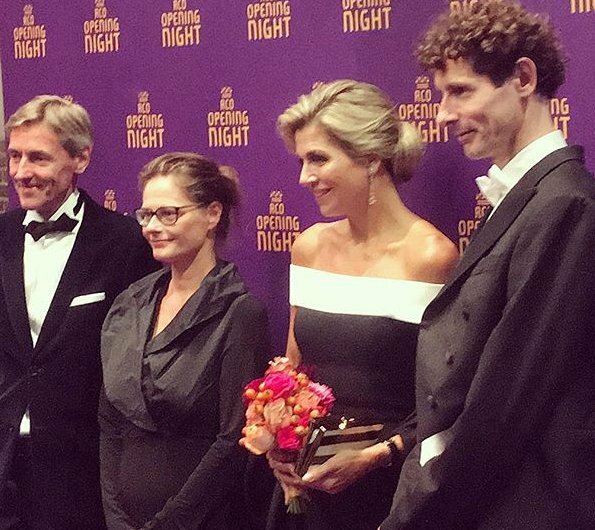 In the evening of September 14, 2017, Dutch Queen Maxima attended the opening of the new season of Royal Concertgebouw Orchestra (RCO) at Concert Hall (Concertgebouw) in Amsterdam. 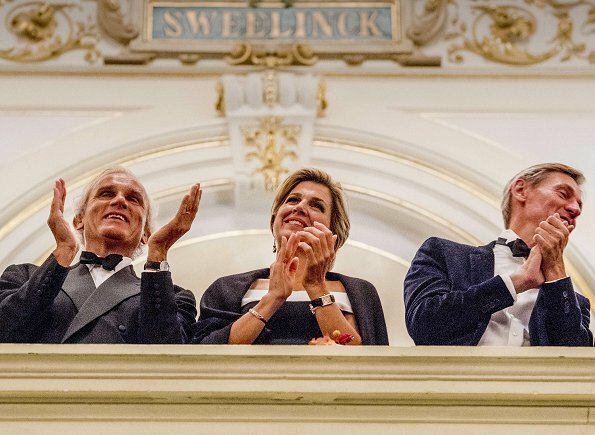 The Royal Concertgebouw Orchestra is a symphony orchestra in Netherlands. It is considered one of the world's leading orchestras. 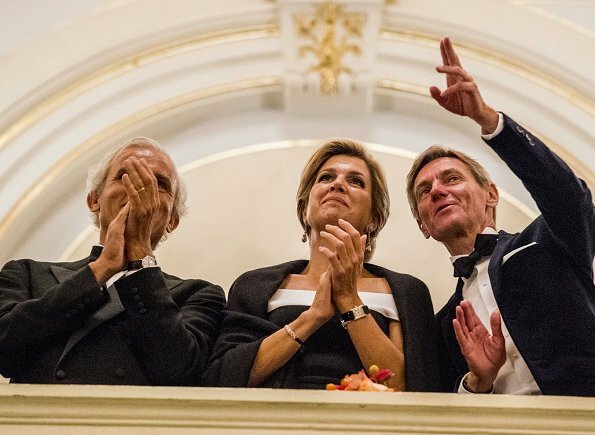 Queen Maxima wore a black-white coloured Danielson jumpsuit by Roland Mouret. Oh, Thomas Hengelbrock from the Hamburg Elbphilharmonie was the conductor. He is wonderful. When a choir is involved he sings, too. He is such a bundle of joy. I like it, she looks great, she's bold enough to wear something not so "in the box". This suits her and the event perfectly. Very nice. Her hair looks really good too. She must have been hearing the talk about her hair because it has really been tamed lately. She looks especially lovely in this event. Contemporary and sleek. She looks very elegant with perfect accessories and her hair looks good styled up like this. Very elegant! Love the outfit, hair, everything! And... the other lady in the first picture is Diana Damrau, one of the greatest contemporary soporanos. Another queen, on her own right ( and talent). Maxima is beautiful and elegant ........... her hair and outfit are both great !! !